Electronic version (2 files, 300 dpi, JPEG, 2.7 MB). Text on one side of the page. The text of the leaflet begins with the words: "Comrades and citizens, the Constituent Assembly should open on Friday, January 5. Welcoming the elected representatives of the people we expect from them a courageous and determined policy, for the country struggles between life and death ... ". At the end of the text - the membership of the Union of Protection of the Constituent Assembly (Joint Committee of Socialist Parties and Democratic Organizations) . I. All-Russian Union for the Protection of the Constituent Assembly. 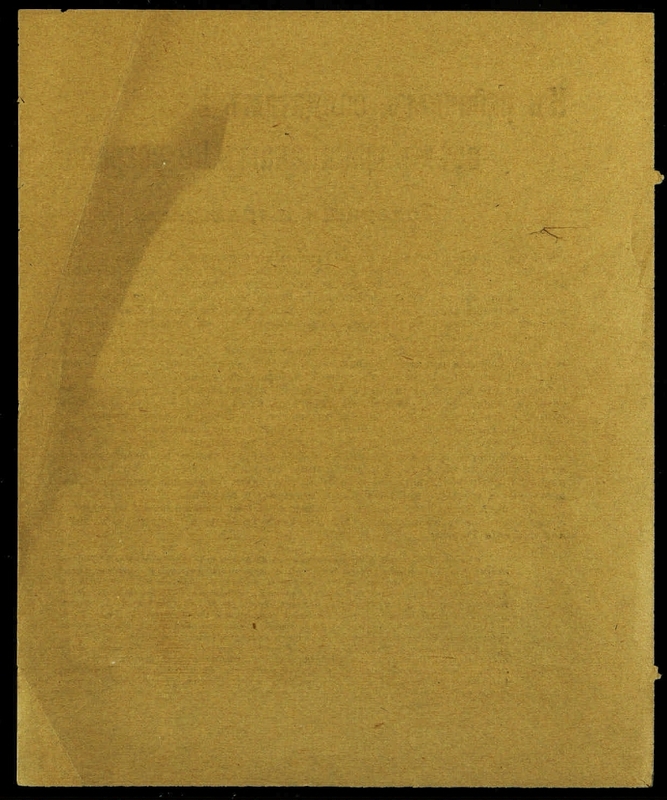 All-Russian Constituent Assembly (1918) - Leaflets. 2. The people (the collection). 3. Power (collection). 4. Electoral system in Russia: history and modernity (collection). 5. 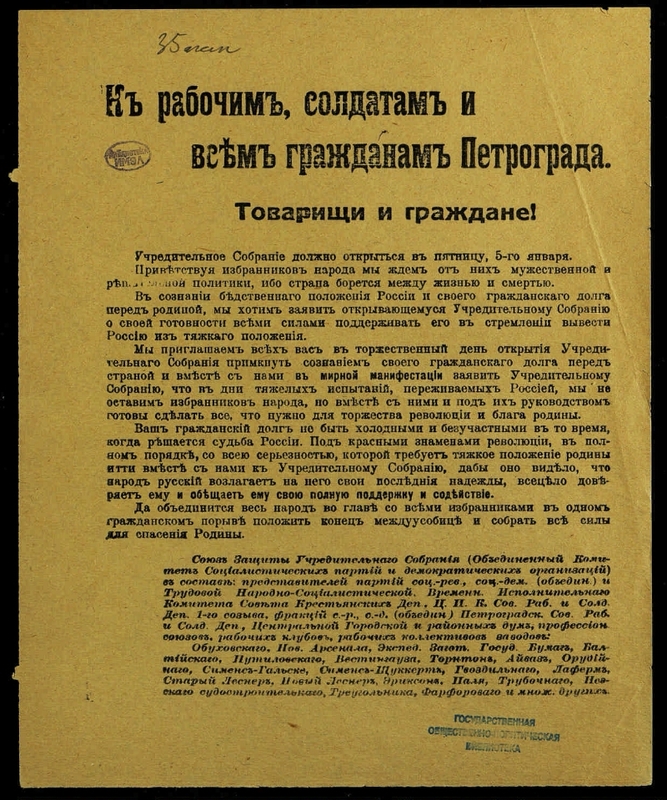 Russia - Politics and Management - 1917 - 1922 - Leaflets.